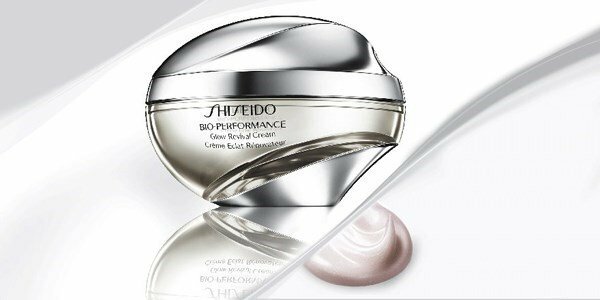 Bio-Performance Glow Revival line from Shiseido gains a new dimension with the arrival of the stunning Glow Revival Cream. The purpose of this line is to achieve a perfect skin even without makeup! The brand new Glow Revival Cream is a moisturizer with multiple benefits, which visibly reduces the appearance of redness, uneven skin tone, visible pores, wrinkles and fine lines and dull and fatigued skin. Its creamy and velvety texture, spreads easily, leaving a silky finish, imperceptible to the touch. Like the best-selling Glow Revival Serum, this stunning cream is directed to a complex network of blood capillaries under the skin's surface, which according to the researches of Shiseido, are the key to improve the complexion appearance! This silky cream, incorporates a unique micro-intensive technology - Multi-Capisolve 1124 - created to enable Tie2 factor, that surrounds the capillaries, in order to enhance and optimize the development of skin cells. It also incorporates an additional technology, to awaken the luminosity of the skin, due to the incorporation of advanced RenoCycle System, which helps in cell renewal, improving over time the texture and appearance of the skin. The Bio-Hyaluronic Acid N fills the surface of the skin, leaving the skin smooth and perfectly hydrated throughout the day. Radiates lightness and strength, being reflective of a well defined personality, a woman determined and successful! Apply morning and night after cleansing the skin and after the Glow Revival Serum.